A rash is one instance where a dermatologist can help a patient. A rash refers to any type of change that affects the skin and can appear as small bumps, red patches or blisters on the surface of the skin. Most rashes are harmless and can be treated with anti-itch creams, moisturizing lotions or even an antihistamine medication. However, some may need to be examined by a professional dermatologist from DeBlieck Dermatology. Some people may think that all rash are alike and easy to treat. However, at times it isn’t that simple. Rashes can be scaly, dry, red, itchy or all of the above. They can occur in one area of the skin or all over the body. They can even come and go and some may never go away. You have a fever with the rash: If this is the case, go to the emergency room as this may signal an allergic reaction or even an infection such as shingles, scarlet fever, measles or mono. The rash is all over the body: A rash that covers the body can be an infection or allergic reaction too. 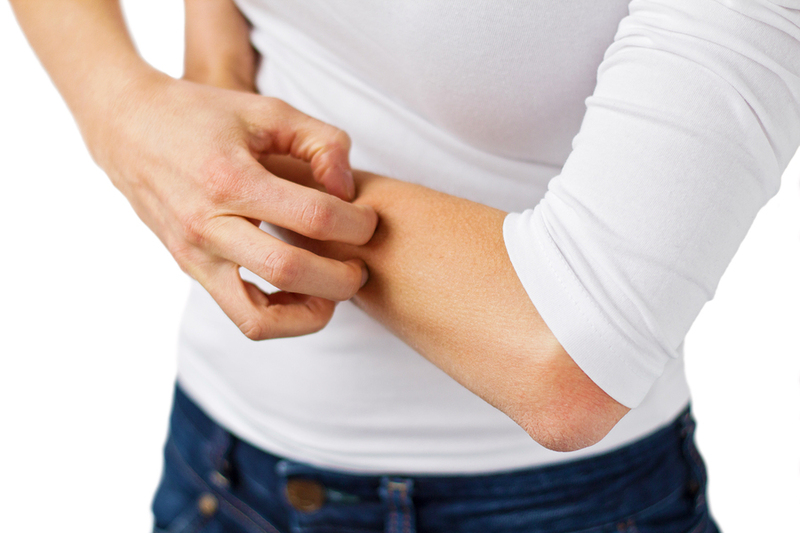 The rash occurs suddenly and spreads fast: This can be a result of some type of allergy. If breathing becomes difficult, then seek emergency care. The rash is painful: This should be evaluated by a dermatologist immediately. If the rash is infected: If the rash is swelling, crusting, painful, warm and has a yellow or green fluid, it’s important to seek care immediately. If the rash is beginning to blister: Seek care immediately. Seek emergency care if this occurs around the mouth or eyes. Ultimately, rashes can come in many forms and, depending on the case, can take an undisclosed amount of time to heal. Rather than trying to treat yourself, it’s important to schedule an appointment with one of our dermatology team members. Do you have a rashes that need to be treated? Call DeBlieck Dermatology in Boise, ID at (208) 939-5030 to explore treatment options!